Vacation Highlights: Stay at an Authentic South Dakota Ranch, Visit Badlands National Park, Downtown Historic Rapid City & Hill City, Custer State Park, Mt. Rushmore, Crazy Horse, Iron Mountain Road, Needles Highway & more! 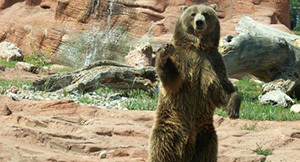 located 6 miles from the headquarters of Badlands National Park and 1 hour east of Rapid City at a 3,000 acre guest ranch. 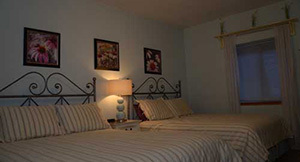 This off-the-beaten-path, family owned B&B offers a relaxing, friendly atmosphere, with unbelievable views. You will stay in a brand new private cabin with 2 queen beds, a set of bunk beds, full bathroom, kitchenette, AC/heat, dining table, BBQ and laundry facilities for your convenience. 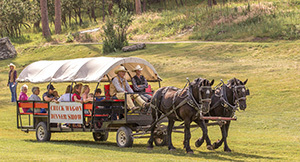 Ranch amenities and activities include; a fully equipped guest kitchen, game room, movies, wi-fi, viewing porch, hiking, horses, burros, rock and fossil hunting, bon fires, chicken feeding, great conversation and local insight, along with a home cooked breakfast every morning. in the Hill City/Keystone area, just minutes away from Mt. Rushmore at a beautiful resort set amongst the ponderosa pines. Check-into a Premier Room in the lodge with two double beds, A/C, heat, private bathroom, telephone, WIFI, balcony or patio, and cable TV. Your resort also has almost any activity you can imagine: a water park, playgrounds, fishing, pool, game room, mini golf, paddle boat rentals, horseback riding, hayrides, evening movies, variety shows and an evening shuttle to the night lighting ceremony at Mt. Rushmore & Crazy Horse! 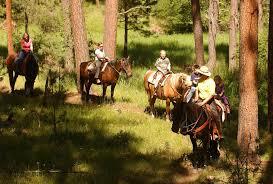 This location is ideal for seeing all that the southern Black Hills has to offer. 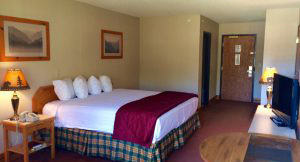 conveniently located right off of Interstate 90 with easy access to the Rapid City Regional Airport at a brand new hotel featuring South Dakota’s largest indoor water park! (Price of admission not included in your stay). 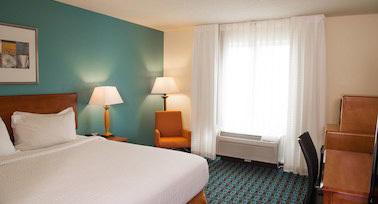 Stay in a standard room with two pillow-topped queen beds, microwave, mini-fridge, WI-FI and complimentary breakfast. In addition to the water park, this hotel features a game room, laundry facilities, exercise room, on site restaurant, and business center. This is a rare experience at a very old working gold site with an antique mining museum and modern placer mill. Your admission not only provides a historic tour of the mill, but also gold panning! Your guide will explain the science of gold panning and how to identify other rocks and minerals. Guaranteed to bring home gold! Expect to spend 2-3 hours. This is a unique trip for a mature rider who wants to learn about the natural, and cultural history of the region. You will wind through the Norbeck Wildlife Preserve, stopping at points of interest to discuss local history, management of the preserve, wildlife, and various other topics of interest. There is a short hike during this trip. Trip leaders are mature, knowledgeable guides with years of expertise in this field, who are comfortable with people and have life experience in the local area. Ages 12 and up only.